In this companion to the Newbery Award winner A Wrinkle in Time and A Wind in the Door, fifteen-year-old Charles Wallace and the unicorn Gaudior undertake a perilous journey through time in a desperate attempt to stop the destruction of the world by the mad dictator Madog Branzillo. They are not alone in their quest. Charles Wallace's sister, Meg--grown and expecting her first child, but still able to enter her brother's thoughts and emotions by "kything"--goes with him in spirit. Charles Wallace must face the ultimate test of his faith and his will as he is sent within four people from another time, there to search for a way to avert the tragedy threatening them all. Do you love A Swiftly Tilting Planet book? Please share! 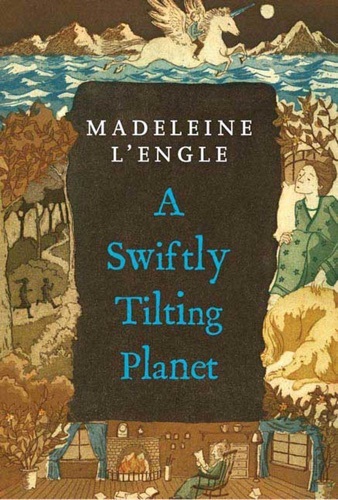 A Swiftly Tilting Planet - Madeleine L'Engle E-Book coming soon..